This topic contains 0 replies, has 1 voice, and was last updated by pto 2 months, 1 week ago. 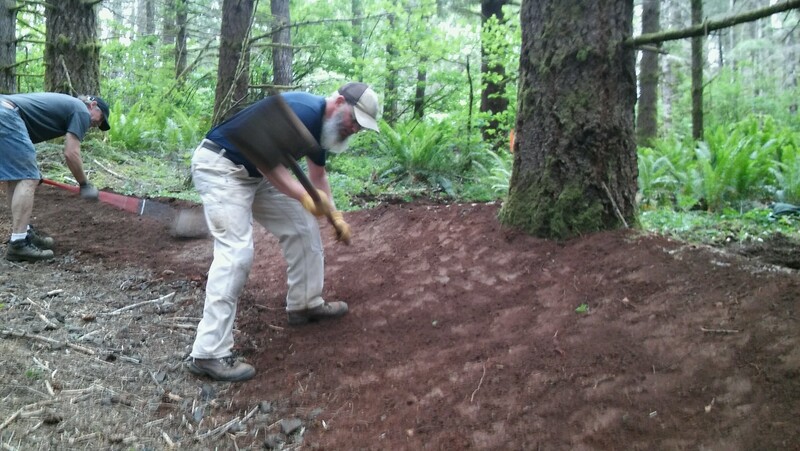 The new trails at Thurston Hills have been a great addition to our community but they could use some love to get them riding firm and fast for next season, so please join us for a day of tuning berms and other treadwork. Meet at the north trailhead at 9:30 am. Proper PPE is required, including long pants, sturdy boots, hardhats and gloves. Bike helmets are acceptable or a loaner hardhat will be available. Bring water and a snack to get you through the day. Hope to see you there! This topic was modified 2 months, 1 week ago by pto.